Rockies are exported throughout the world but if you already have trusted and respected brands of your own, it can often make more sense to sell Rockies as your own products, complete with your own packaging. Tithebarn has long supplied own-brand salt licks to exactly the same formulations and manufacturing standards as Rockies. If you think that this strategy might help improve your sales, please contact us for more details. 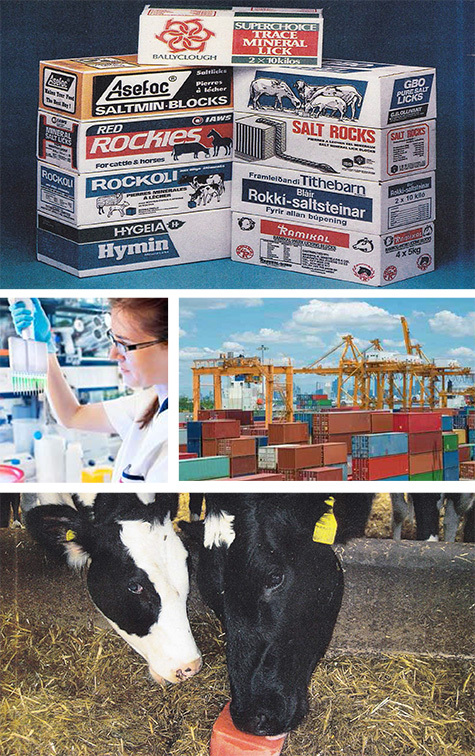 There are over 700 Rockies formulations targeting specific livestock needs and deficiencies in over 50 countries. There is however nothing to prevent the development of yet more Rockies formulations to meet new local or regional challenges. If any of our export partners can identify a gap in provision, Tithebarn has the expertise and the testing and manufacturing capability to quickly produce an own-brand Rockies to fill that gap – and the export partner will be the first to benefit from its sales potential. Develop and test a new formulation based on analysis of supplied data and samples. Rapidly meet immediate requirements, then determine optimum production based on predicted annual usage. Design and produce packaging to the export partner’s specifications. Take care of all shipping.